The promise of augmented reality is the physical and virtual world blending seamlessly, responding to each other in an intelligent way. I got my most convincing glimpse yet of that promise when I donned a pair of Palo Alto startup Meta’s augmented reality glasses Monday. A virtual sun with a bubble at its center floated near the edge of my vision. I reached out and popped it, prompting a real lamp sitting in front of me to turn on. Another pop and the lamp turned off. 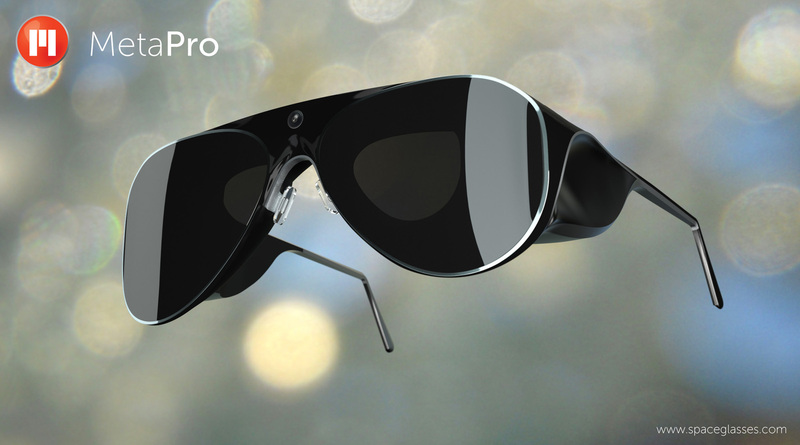 The glasses were a prototype model of the MetaPro Glasses, which as of today are available for pre-order. They will ship to buyers in summer 2014 for $3,000. That’s twice the price of Google(s goog) Glass, but the startup’s CEO, Meron Gribetz, insists the price is worth it due to the more able sensors and optics packed into the frames. The 6.3 ounce glasses will have two 40 degree fields of view, each of which displays 720p HD images, plus sensors like an infrared 3D scanner and accelerometer. 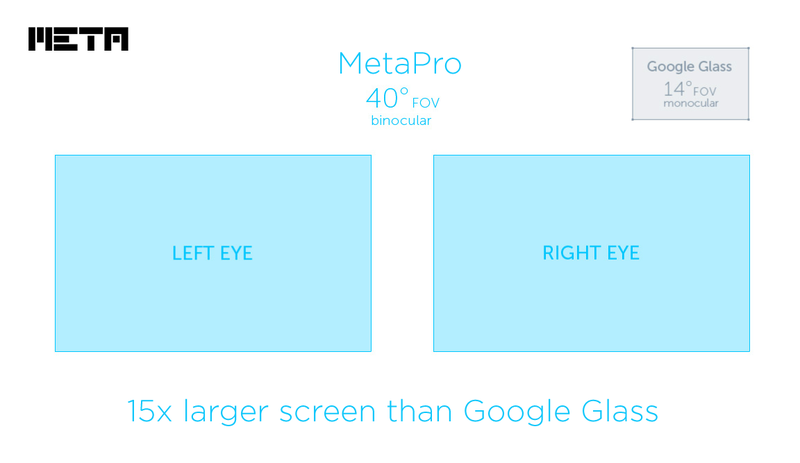 MetaPro Glasses aren’t just for a sci-fi version of the internet of things. During the demo Monday, I swung a virtual lightsaber with my finger and swiped through photos on a virtual iPhone(s aapl). I also watched a short video that took advantage of the glasses’ large “screen”: a viewing area 15x that of Google Glass that lays itself over the physical world. 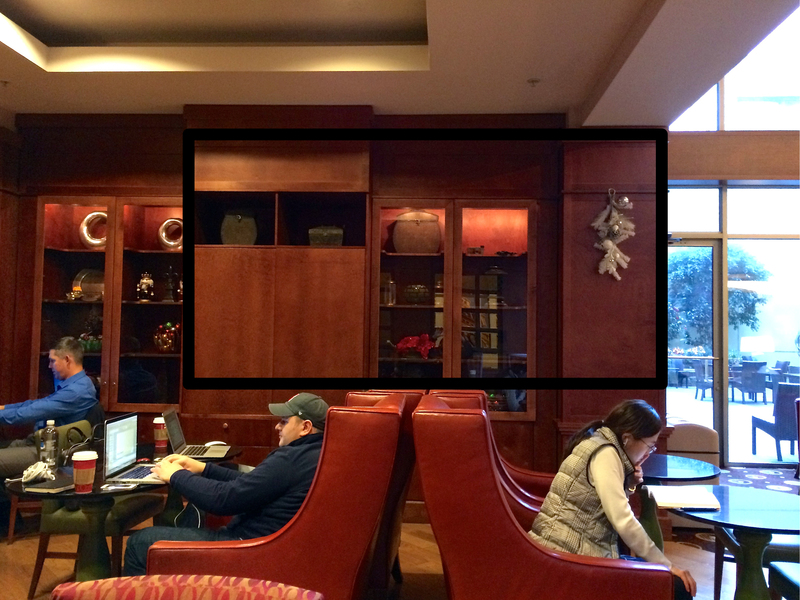 It took up the larger part of the wall across the room from me, making it larger than any jumbo sized TV. Gribetz said interacting with the world through the glasses will rest on two types of apps. The first is constant; you look down and see a series of bubbles that are shortcuts to different apps. The second type is circumstantial; walk into the kitchen, and bubbles representing cooking apps will emerge out of the wall. Just pop one to open the app. He said he believes the most popular app will be the virtual iPhone, which will allow people to do most things they would normally do with their phone without ever taking it out of their pocket. They can access photos and emails or send text messages all via a virtual iPhone floating above their hand. He also believes tabletop gaming and design tools for architects, interior designers and industrial designers will be popular applications. The internet of things applications are also exciting; instead of turning to your phone to control a device, imagine interacting with a virtual switch that appears over it when you walk into a room. While SpaceGlasses are easily more powerful than Google Glass, they have one notable weakness: They are still wired. They ship with a small “pocket computer” connected to the glasses by a thin wire. The design is a necessary one to give the glasses a respectable battery life, which clocks in at four to eight hours. Since I first tried on the glasses in August, the software has improved tremendously. 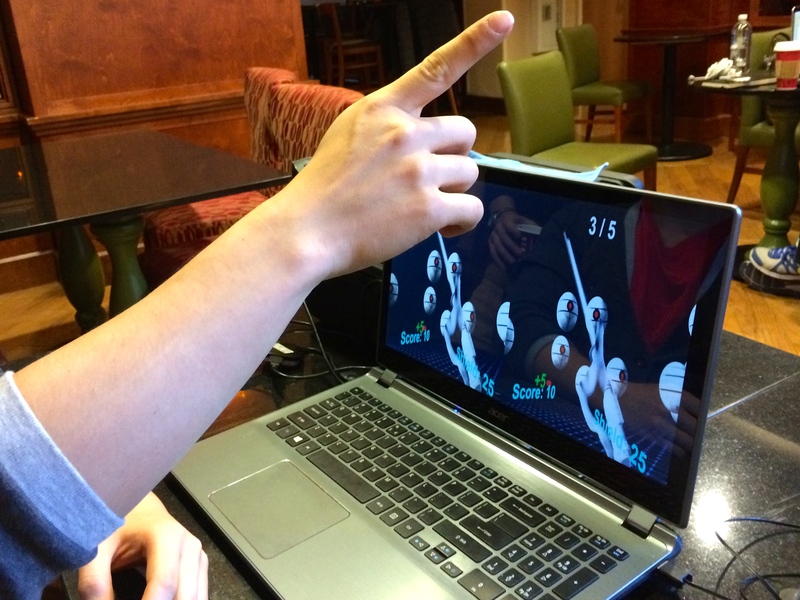 It’s now easier to manipulate virtual objects and images look sharper. The hardware has also improved from the developer kits Meta hawked via a successful Kickstarter campaign earlier this year, though it has a ways to go before it resembles the renderings depicting the version that will be released this summer. It already looks like it will be an exciting addition to the augmented reality space. Ya know SMART Glasses that actually look like glasses!